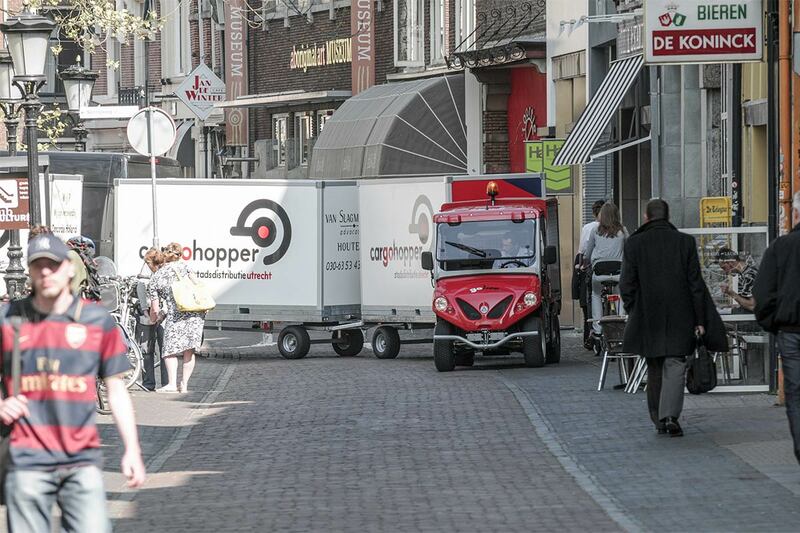 Alke' vehicles with utility trailer are appropriate for use on roads (European type approval) as well as for industrial use or at tourist sites. 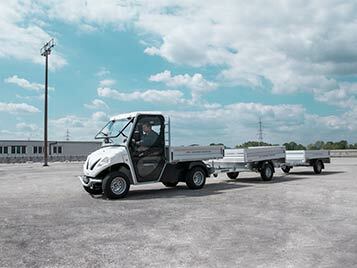 Thanks to their innovative technology, these ATX electric vehicles have a maximum towing capacity of 2,000 kg on public roads and of 4,500 on private property. They can be equipped with open or covered dropside body. 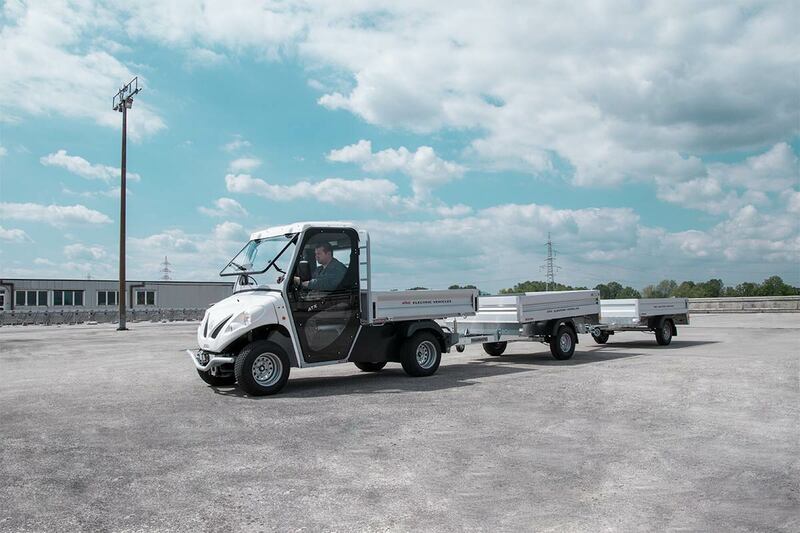 Why choose the vehicles with utility trailer? 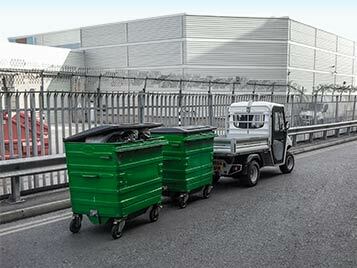 Alke' has developed a range of equipment specifically designed for the transport of large quantities of materials. The carts and trailers created are intended to simplify clients' operations and make them more efficient, no matter the environment in which they are used and under all types of weather conditions. Often weight is not the critical factor in logistic activities, but rather the volume of the materials to be moved: for example in the case of home delivery in urban settings, with the rise of e-commerce in which voluminous packaging requires larger loading areas despite the low weight of the specific package to be handled. 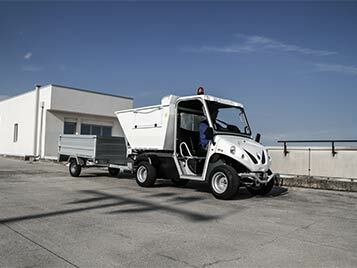 The carts and trailers designed by Alke' seek to optimize dimensions while maintaining a high degree of manoeuvrability. In the case of covered solutions, accessibility of the loading area is also important, which can be provided through the use of sliding doors with shutter closures that replicate the solutions already present in Alke' vehicles or through the use of structural ribs with PVC sheets that can be opened on all sides for maximum flexibility. The use of electro-hydraulic lifting makes it easy to unload the transported materials. Meanwhile, the side containment extensions are useful for free loads or scrap material that would otherwise get lost in transit. 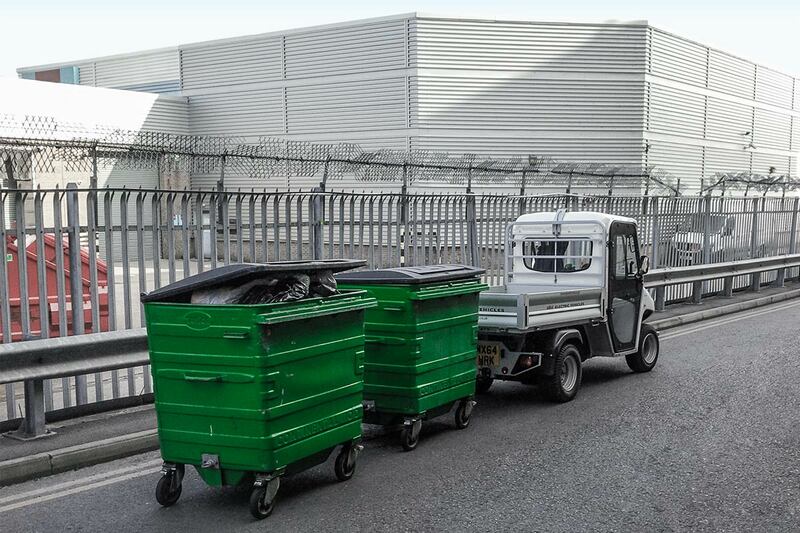 Alke's trailers can be modified to permit the loading of smaller carts through the use of integrated ramps with rear access, particularly useful in shopping centres for the collection of shopping carts from the parking areas. 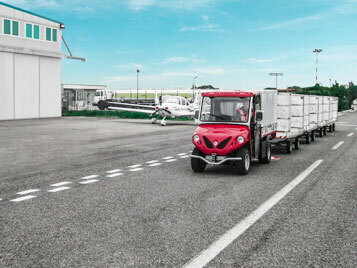 ATX electric vehicles with utility trailer are used for operations like the transport of merchandise, garbage collection, and the transport of commercial goods (shipping and delivery of merchandise) and refrigerated products. 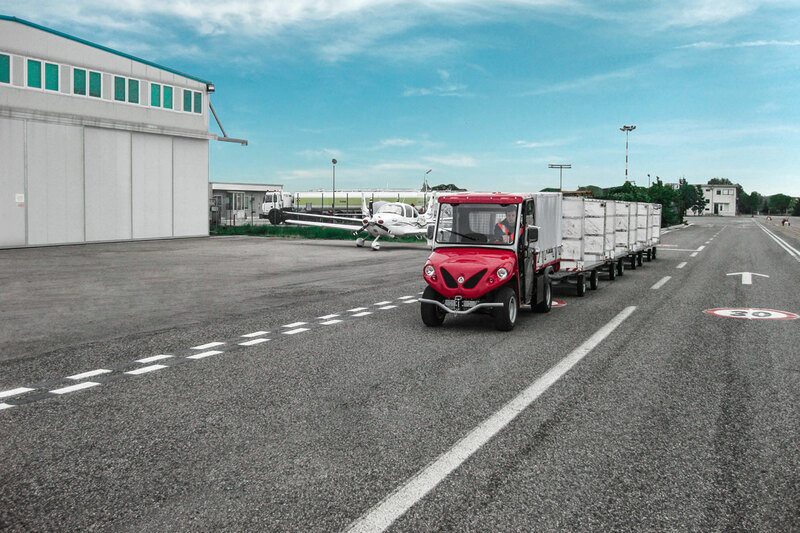 Additionally, Alke' towing vehicles are perfect for use in airports (loading/unloading of baggage) and ports, electrical power plants, shopping centres, and large industrial facilities. Alke's ATX are among the most high performance vehicles in the market of electric vehicles. This was achieved thanks to ongoing research and the implementation of high quality materials and innovative technology. 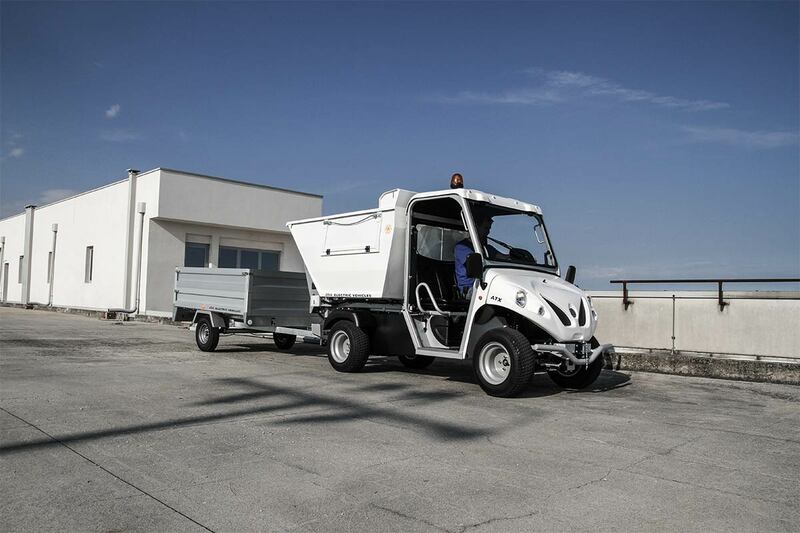 The materials used in the construction of the ATX are extremely sturdy and durable and ensure that the bodies of the vehicles withstand, with no difficulty, the most various conditions. In addition to their sturdiness, another characteristic of these vehicles is their strength. 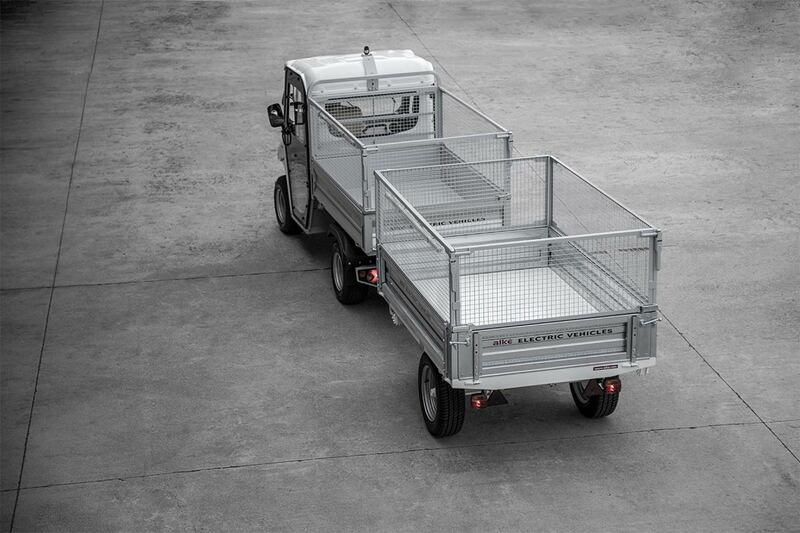 The vehicles that are a part of the ATX series can transport up to 1,575 kg in the cargo bed, while their maximum tow load capacity is 4,500 kg on private property. 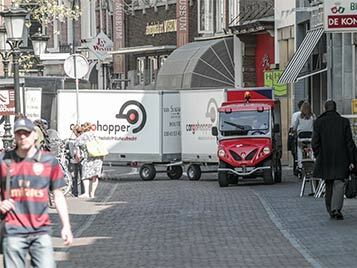 The European type approval for public transportation deems ATX appropriate for circulation on roads and with a maximum towing of 2,000 kg, something greatly appreciated by both companies and municipal governments. In fact, these vehicles are not merely strong and sturdy, but are above all agile and easy to manoeuvre. Furthermore, their small size makes it possible for them to reach more isolated areas and to navigate narrow streets without the least difficulty. 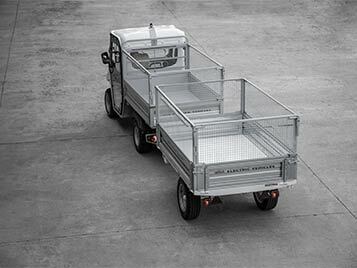 Thanks to the strong chassis and latest generation AC electric motors, Alke' vehicles with utility trailer are very high performance. The time necessary to recharge the battery – a choice between acid, gel, or lithium – varies from model to model, but essentially an overnight charge makes it possible to work for the entirety of the following day with no trouble. The cost of recharging is approximately 2 Euro, the reason for which many companies are investing in electric transport. Furthermore, the ecological factor inherent to the very structure of the vehicle is not to be overlooked. Please send us a brief message if you'd like to receive more information on our vehicles with utility trailer.